Oddworld Inhabitants may have confirmed that New 'n' Tasty is still coming to the Wii U this year, but it would appear that the studio's port of Stranger's Wrath has been put on ice. If New 'n' Tasty sells well that might convince the developer to jump back onto Stranger's Wrath - are you planning on buying the former and were you looking forward to the latter? Let us know by posting a comment. I'm not really too surprised by a third party developer cancelling a game on the Wii U. In fact I was shocked New n Tasty wad coming to the Wii U still. Perhaps they're now looking to see what the NX turns out to be before deciding if they should continue profucing for Nintendo consoles. To be honest, I just cannot see this doing particularly well on the Wii U; maybe 50,000 units and a few ten thousand more when it is on sale. The Oddworld series has mainly been associated with the PlayStation brand, even though they released Munch's Oddssey and Stanger's Wrath on the Xbox, which didn't do anywhere near as well - sales wise - than Abe's Oddssey and Exodus on the PSone. I just don't see this game doing all that impressively on the Wii U, although I would very much like to be proved wrong, of course! @Peek-a-boo I don't think it will help it was already free on PS Plus earlier this year so a lot of people whom want it will have it. Like me. Looks like I will be getting it for a different system then. Reasons like these are why I hope the NX is easier to develop games for, that way developers don't have it put so much more effort than they do for the other system, which means more games for Nintendo gamers. Well one of them was going to be cancelled wasn't it. You knew it by the lack of information. I'd rather have Strangers Wrath though. Amazing game. Stranger's Wrath isn't a PS1 game. Don't mix it up with the Abes games. Not sure if this will do well or not, will have to wait and see. I wish PS and Xbox owners would stop saying they get FREE games each month. they are not FREE. You pay a subscription each month/year. That is not to play online, as it costs nothing to allow you to play online. That fee you pay, goes towards paying Devs a sum of money, so both Sony and Microsoft can then offer it to you. It has been known for a few years now that it actually costs Sony, Microsoft and Nintendo nothing to allow you to play online, and chat. So, those games you say you are getting for free, you are actually paying money towards them. For Christ's sake, I wish developers would stop BSing us. Of course it's cancelled! Just say it won't get release anymore and be done with it. This BS marketing has to stop. We are not stupid. Even with that said so many other options will hurt this game sales wise especially at 30$. I will get it and am excited to play it but I'm in the vast minority. And this one was the one I wanted over Abe. Ok, my money goes elsewhere then. I have really been wanting to get my hands on New N Tasty. The only experience I've had with Stranger's wrath is on my iPad, and that was short because I hated the controls. I'd definitely give it a try if they do bring it to the Wii U. Why even bother making such stupid comments? If it is canned, then say its canned, Stop doing this "We might work on it later" BS. Seriously, this infectious disease attitude needs to stop. Maybe on NX? Well, I don't have much fate in them anymore. They apparently aren't that eager to serve the Nintendo gamers, and where are the new games in the Oddworld franchise that have been rumored/announced for years?! I'm planning on buying the Oddysee HD game when it comes out. Well I'm getting Abe's Oddyssee because it's the only game in the series I ever played. If they bring Stranger's Wrath to Wii U I'll check it out; if not I'll spend my money on other things. Very excited for New 'N Tasty! Still hope Strangers Wrath makes it. With all the NX news and rumors swirling, and development for the Wii U appearing to die down, I wouldn't be surprised if they just looked at everything and decided to move development to the NX. But I wish devs would stop being so ambiguous with time frames, just be honest for Pete's sake! It's not that hard. What, Stranger's Wrath for Wii U? That would be awesome! Hope they will eventually continue working on it. Stranger's Wrath is one of the most underrated games of all time. I would love to see the Metroid Prime series "borrow" some of the mechanics from that game. I'll buy new & tasty on release. Never really played strangers wrath & would have liked to pick it up. Urgh. I've been dreading this... While I will happily take New 'N Tasty, Stranger's Wrath was the game I was thrilled to replay on Wii U. It's the kind of shooter I always thought could do well on a Nintendo platform and Wii U has unfortunately lacked. Big bummer. Will definitely support this game and New n tasty if and when they come out. I'm getting New 'n' Tasty when it's out. It's a brilliant looking HD remake of a real classic many of us never played, and I think many Wii U fans will be swayed over to get it if it launches for a good price / discount. And please kids, stop your doomy gloomy attitude. 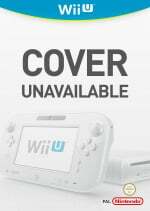 Wii U development stops when the final games are out, and there are still hundreds of Wii U games on the release lists for 2015 and 2016. How well are they expecting this to sell after all the delays on Wii U? Come on now. It has been known for a few years now that it actually costs Sony, Microsoft and Nintendo nothing to allow you to play online, and chat. Could you please go on to tell us who pays for Sony's, Nintendo & Microsoft online infrastructure? If these companies don't pay these costs themselves.